What is a European cylinder? 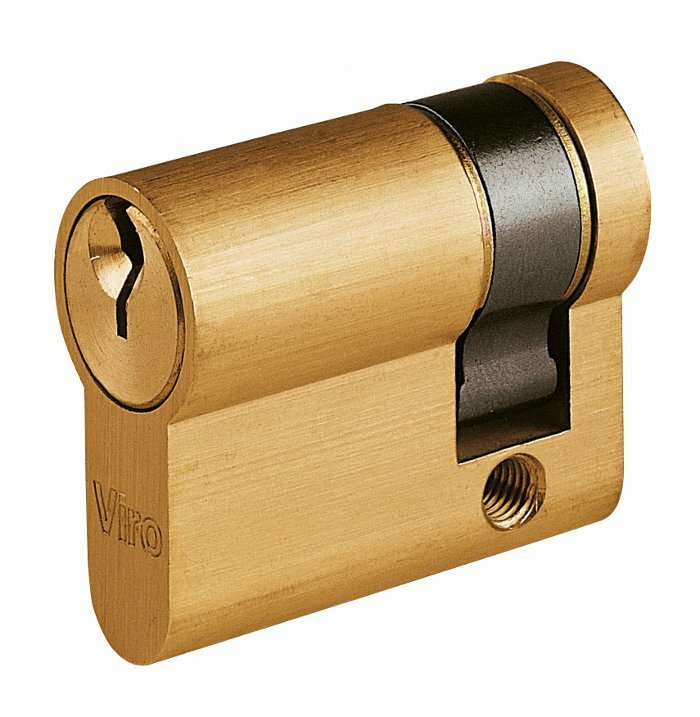 There has been much talk recently of “European cylinders”, especially since the old double bitted locks have shown their vulnerability, and many people have recommended replacing them with this type of cylinder. But how is a European cylinder made exactly? The European cylinder, or more properly “European profile cylinder”, takes its name from the characteristic profile of its section. One of the advantages of European profile cylinders is that as they all have a profile with equal dimensions, you can easily replace an old cylinder with a new one, possibly even a better one. All European profile cylinders have the same outside profile and are therefore interchangeable. European profile cylinders consist of a body, typically made of brass, often with an external nickel plating finish, in which a plug is fitted, which is the part in which the key is inserted. Turning the key rotates the plug and moves the cam (central lever made of sintered steel, which is usually black in colour) to which it is connected. In turn, the cam moves the internal lock mechanisms which control the latch and/or the bolts. 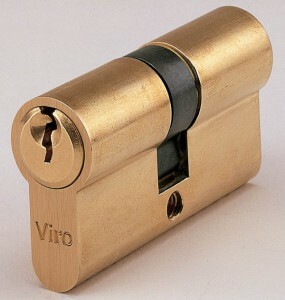 This is what is inside a European profile cylinder (In this case a Viro Euro-Pro). 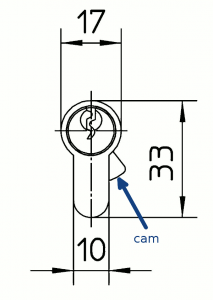 There are two types of cams: the standard one, the profile of which with the key withdrawn is completely inside the shape of the body, and the anti-withdrawal one, the profile of which with the key withdrawn protrudes laterally, in such a way that it abuts against the body of the lock in case one tries to forcibly remove the cylinder, thus hindering this burglary technique. The anti-withdrawal cam protrudes outside the shape of the body when the key is extracted, thus resisting any attempts to remove the cylinder by force. The body of European profile cylinders is usually made of two mirrored parts (which may have different lengths), each partly housing a plug, and these join together at the cam. This allows the key to be used from both sides. 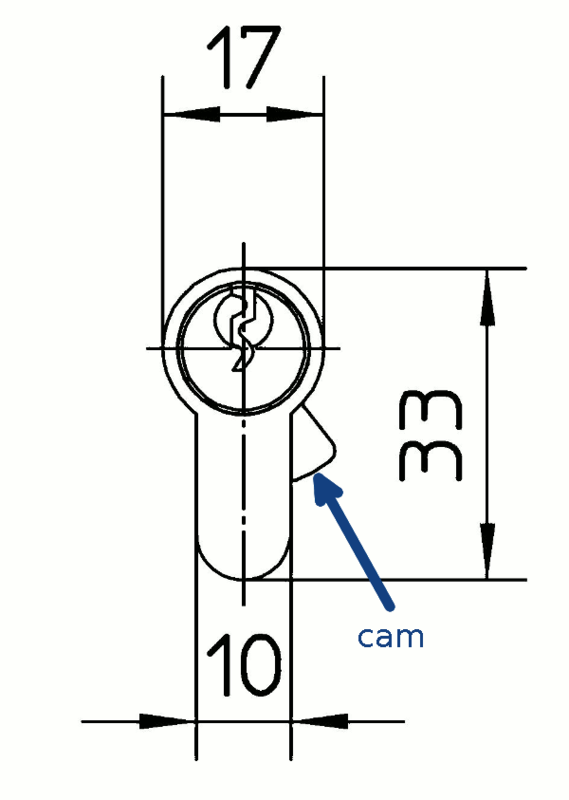 The body of a European profile cylinder is usually made up of two mirrored parts which join together at the cam. In situations where this is not needed (for example in a French door leading to a balcony, which must be opened and locked only from the inside) you can use a half cylinder . 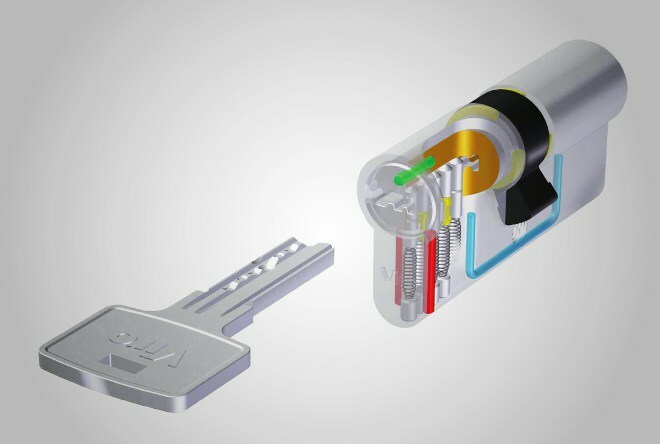 A half cylinder can be used when the key is only to be used from one side. The mechanism inside European profile cylinders is of the pins type. Pins (usually from 4 to 7) are inserted in the body which have a length inversely proportional to the length of the key teeth: they are short for a long tooth key and vice versa. By inserting the correct key, the pins align in such a way as to allow the plug to rotate in the body. If the teeth of the key do not correspond to the heights of the pins they do not align and, remaining halfway between the body and the plug, prevent the rotation. 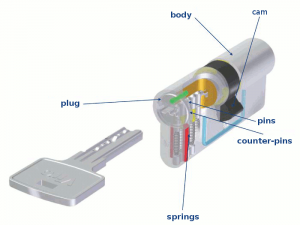 These are just the basic features of a European profile cylinder, which may then have many other special characteristics: ability to operate a key from one side when a key is already inserted in the other, anti-drilling or anti-pulling reinforcements, pick-resistant pins, anti bumping elements …. we well see in detail how to choose a good quality cylinder in an upcoming blog … stay tuned! This entry was posted in Locks and Cylinders and tagged technology on 6 May 2014 by Mara Rossi. I don’t know thhe reason why I am unable to subbscribe to it.